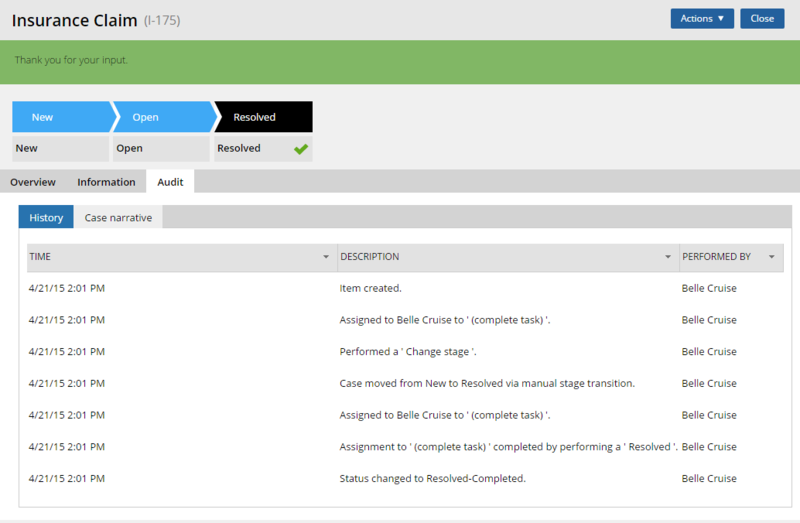 You can configure a stage to automatically resolve cases in your application. When a stage is in focus in Case Designer, click Resolve the case in the contextual property panel. You can then create or select a resolution status and close open assignments. At run time, the audit trail of a case includes entries that capture the time that the case was resolved and open assignments were closed. You can also configure an alternate stage to resolve cases. When an alternate stage is in focus in Case Designer, click Yes in the contextual property panel below the Is this a resolution stage? label.